This extension of Hummingbird implements a part of UCP-EMI protocol that used by a SMS-Center – an equipment that routes Short Messages (SMS) between the information system and the user’s terminal. In a test environment, text messages cannot be sent to real clients, so we need a service simulation to replace the SMS-Center for test purpose. 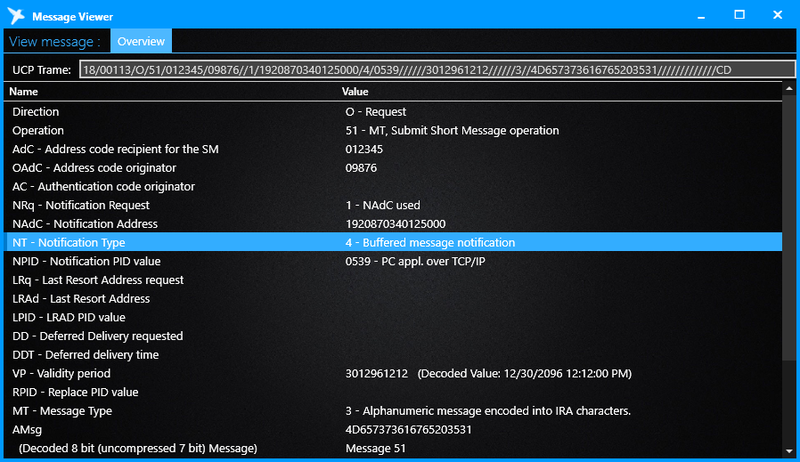 Or course, text messages encoded in UCP-EMI protocol are not human-readable, so the simulator decodes the messages. Considering the specification of the UCP-EMI protocol, this extension also implements a custom message viewer, which replaces the default Tree + XML viewing and decodes the message to human readable user interface. When installed, you can find SMS Center in the list of available service.